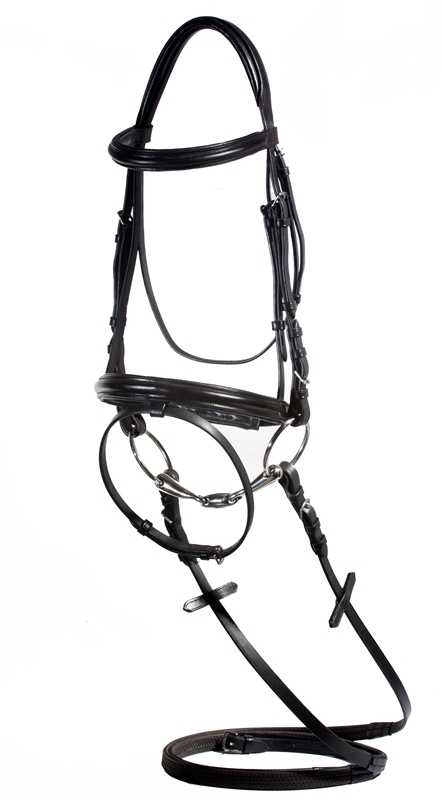 The Brentina is one elegant bridle with quality for a price you cannot beat! Made with superb quality American leather, this expertly crafted dressage bridle features an extremely soft, padded crown along with a padded flash cavesson and brow, and 5/8” cheeks with buckle ends. The Brentina is comes complete with rubber reins. 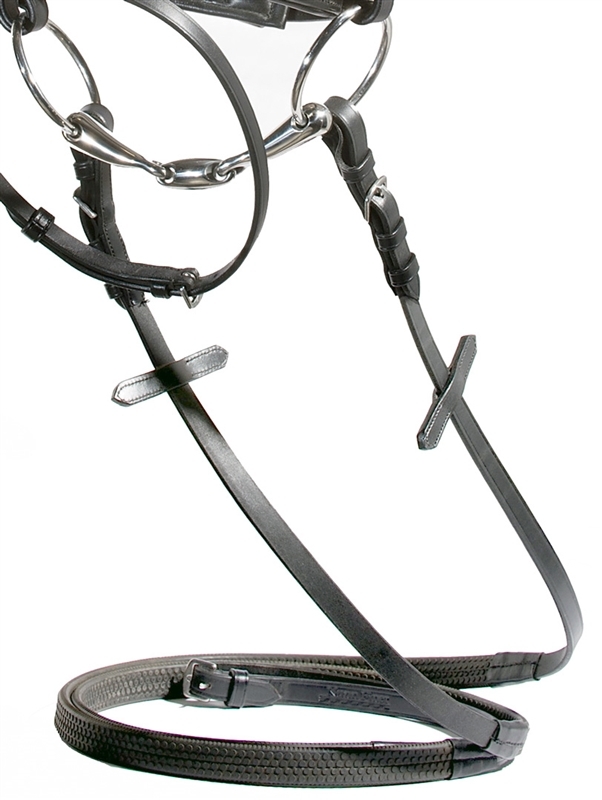 The Brentina English Dressage Bridle has superb quality American leather. 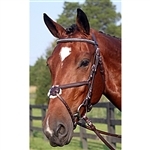 This expertly crafted dressage bridle features an extremely soft, padded crown along with a padded flash cavesson and brow, and 5/8” cheeks with buckle ends. 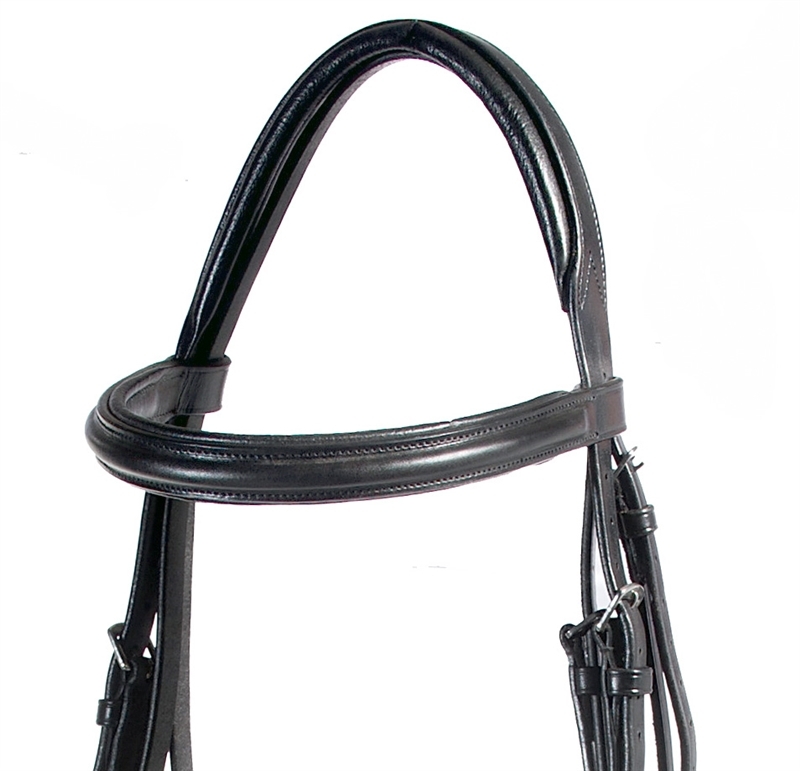 The Brentina comes complete with rubber reins.